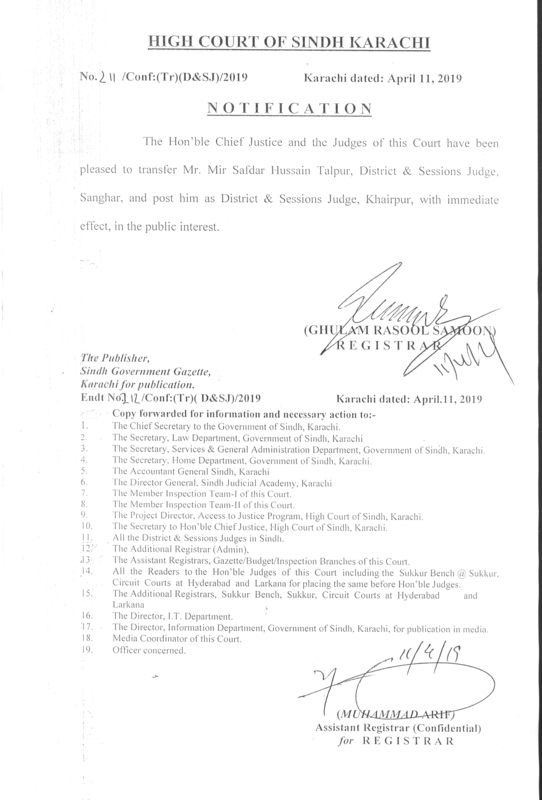 1st April, 1952, Kotri, District Dadu, Sindh. 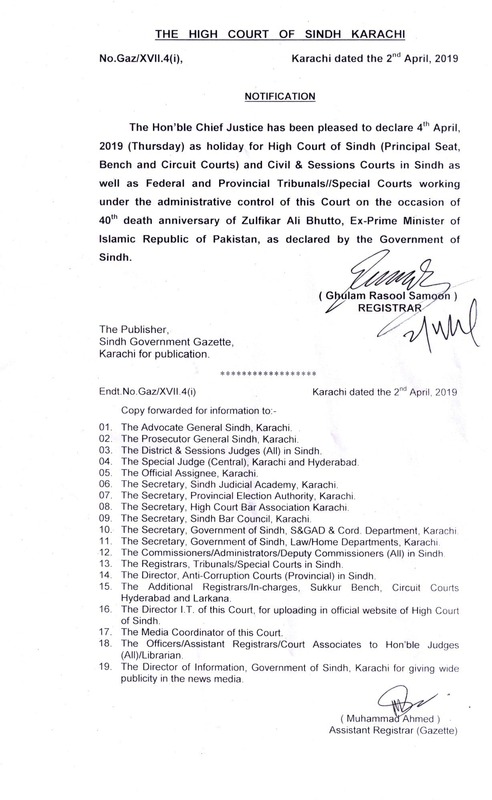 Enrolled as Advocate of Sub-ordinate Courts on 26-5-1981. 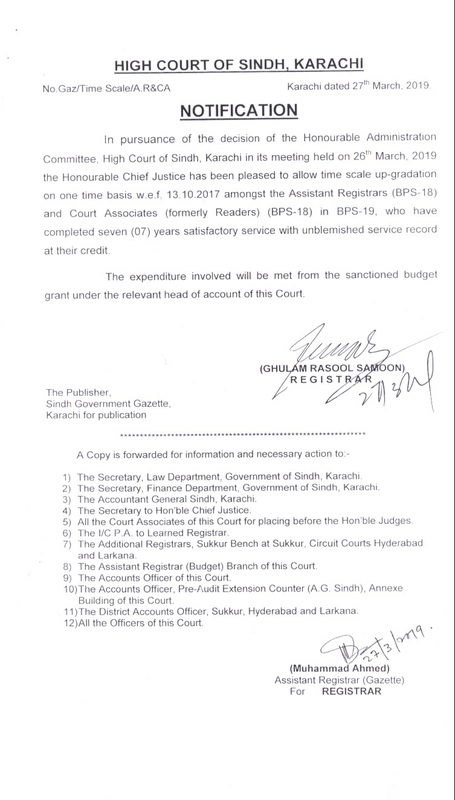 Enrolled as Advocate of High Court on 7-11-1983. 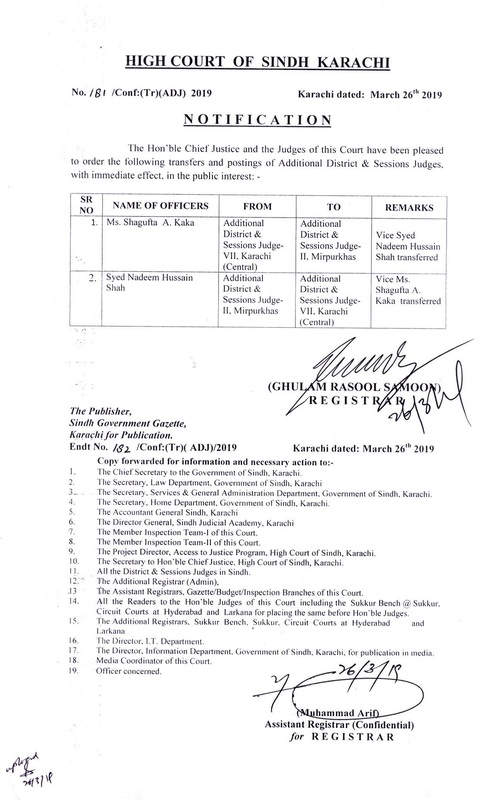 Enrolled as Advocate of Supreme Court on 18-5-2000. 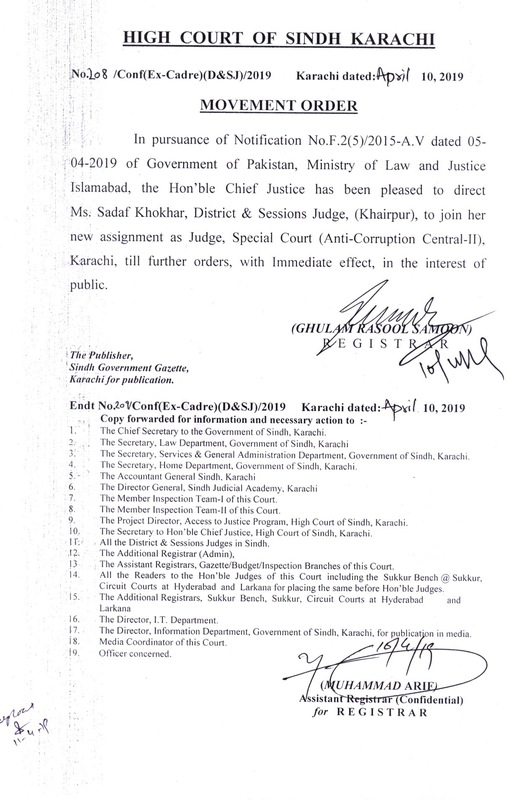 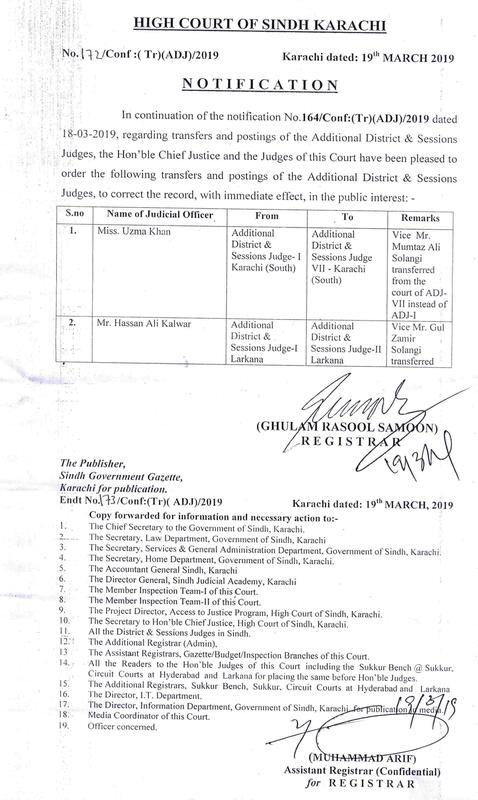 Appointed as "Assistant Advocate General, Sindh" on 24-3-1994. 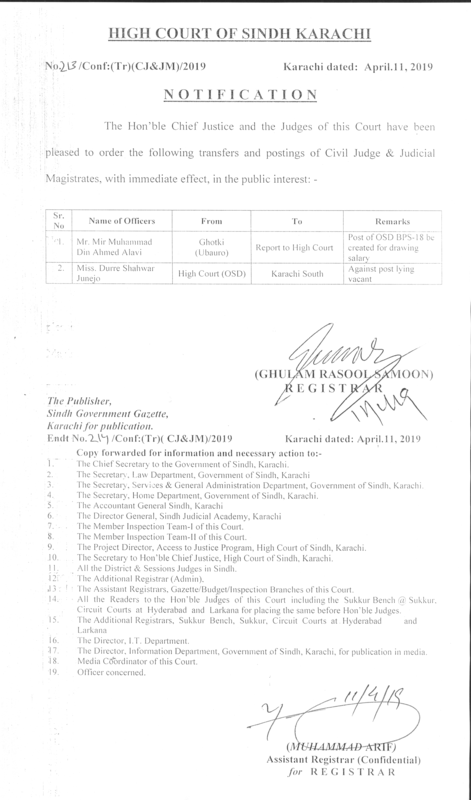 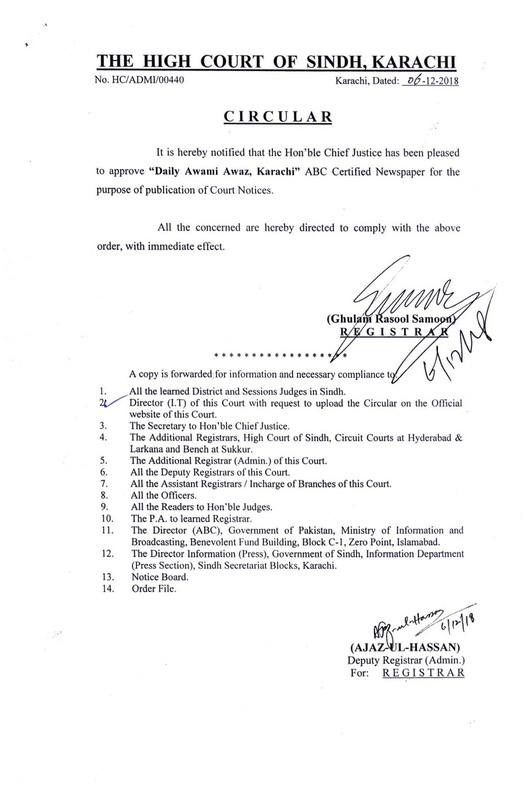 Appointed as "Additional Advocate General, Sindh" on 17-7-1995. 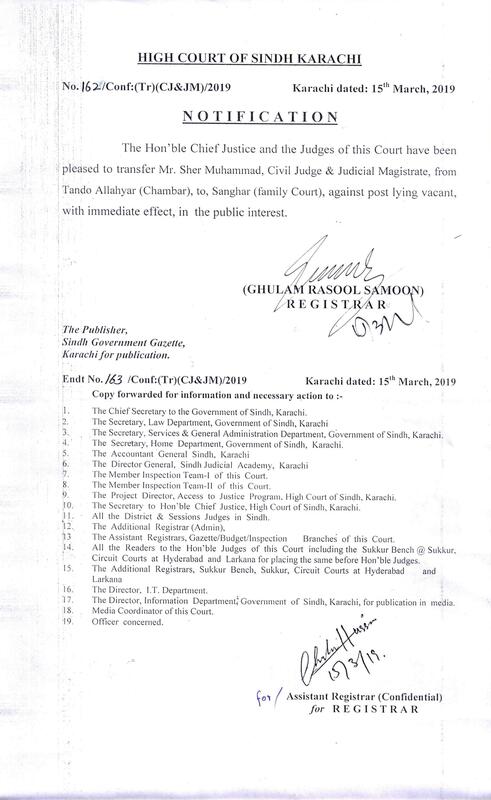 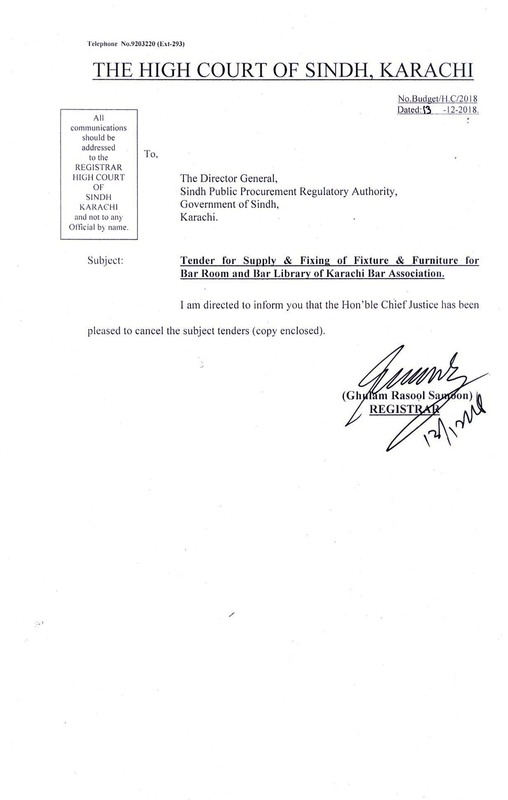 Resigned from the office of the "Additional Advocate General, Sindh" on 24-11-1996. 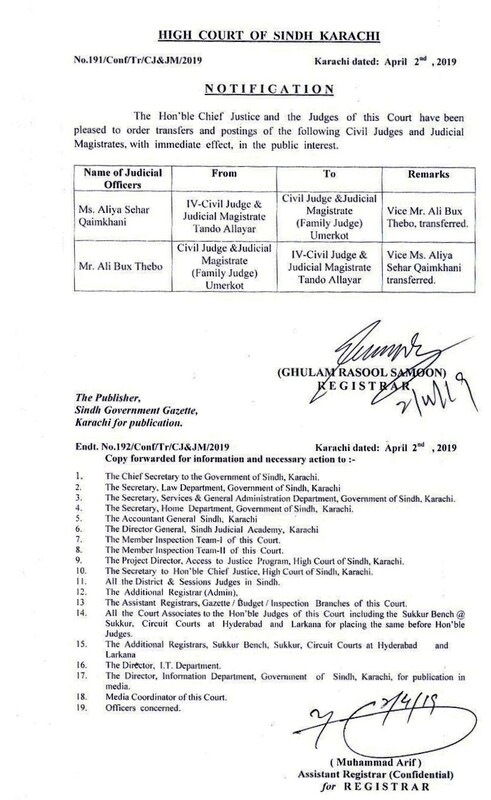 Appointed as "Deputy Attorney General for Pakistan" at Karachi on 12-1-2002. 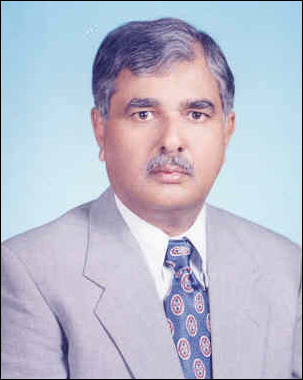 Elevated to the Bench on 27th August, 2002.